"CBC Online Garden Chat "
We used ScribbleLIve to answer gardening questions from the public in conjunction with a live radio call in. Our audience came from all over Canada and even from the U.S. I thought that the interface was fairly easy to use and the ability to link with social media very useful. There were nice features such as the ability to have quotes and post images. I liked the avatars and the overall format. It is also handy to be able to look at the archive of content. There were occasions when I couldn't see the replies given by our audience. This made it difficult to follow the conversations. I'm not sure if that was a function of the admin person or the program. ScribbleLive certainly makes communication come alive. It allowed us to interact with our audience in a fun and engaging way. We gradually built up a following and our audience has increased each year that we have used ScribbleLive. We were able to reach a large nationwide audience to answer gardening questions online. I believe we were able to get some stats on number of responses, audience size, how long they were engaged. Those metrics help us to measure impacts and progress. As someone who uses ScribbleLive for live coverage of events, I find the tools to be very intuitive and useful. The ability to embed tweets, YouTube videos and links is much improved from the previous version. It's great that readers can easily follow on multiple devices, including desktop, tablet, and mobile. Sometimes it's hard to keep up with incoming comments from users when moderating Q&As or live discussions. Pausing the comments sometimes help, but if they build up I believe you can only unpause — leading to a deluge of comments — or leave those paused. It's a great, user-friendly tool for people or companies that are looking to engage their customers/subscribers. We weren't totally sure how to reach our subscribers during live events and this has provided a great platform for doing that — either actively with live chats or passively with tweet streams that people can easily follow. There have been some issues with mobile viewing, though not many. "ScribbleLive made our website instantly interactive!" Our team loves ScribbleLive because the website integration, user backend, and app are extremely user-friendly for all skill levels. Our goal was to give our website a live, interactive look and feel--especially during a humanitarian response--and ScribbleLive met that need without burdening our small developer team. Scribble allows our writers to create with freedom and gives our marketing team immediate interaction with our audience and potential donors. Because we are a nonprofit and use ScribbleLive in a slightly unconventional way, we have the annual challenge of justifying the cost. But we continue to press through the concerns and renew every year. ScribbleLive gives us the best control over content curation in our live feeds that we have found on the market. If you are looking for a way to make your site instantly interactive while maintaining full command of your content--ScribbleLive is a clear winner. We have a WordPress site with few developers on staff. ScribbleLive helped us make our site instantly interactive with no burden on the internal developer team. Our writers love it because they can add live feeds and beautiful slideshows to their stories even while in the field. Our marketing team appreciates Scribble because the live feeds and interactivity increases our time on page and engagement with potential donors. "My Vietnam Diary, through Scribble Live "
I used Scribble Live for the very first time during my two weeks trip to Vietnam. As a journalist and live streamer, I needed to have control over my content and my goal was to create a sort of live feed diary. Scribble Live made this possibile and made my trip diary interactive, in an easy way! well nothing technically speaking. The only problem for me, as a free lance journalist and influencer, it's the cost! I really would love to find some kind of "professional collaboration" with Scribble Live! As a blogger I use a WordPress website that fits perfectly with Scribble Live technology. In particular, the backend is simple and intuitive, easy work also working outside, "on the field". In fact, Scriblle Live is very easy to use with the app from the smartphone and makes the flow of truly interactive information effortlessly! "When time matters, ScribbleLive is the answer"
ScribbleLive is an excellent product for producing information and content rapidly. It's simple, easy-to-understand, and doesn't require much time to setup. Searching for posts, pictures, and videos on social media can be a bit cumbersome. It's often difficult to find posts that you know are out there, which can make crowdsourcing content rather slow and frustrating. Know it inside and out! Walk yourself through the training modules and make sure you know exactly what you're doing. That way, when it comes down to it, you're going to be prepared for just about anything. Severe weather and breaking news requires incredible speed. We're trying to save live and protect people, something we can't do with a typical CMS solution. ScribbleLive allows us to post rapid updates in real-time, so we can create a constant stream of information along to our online readers. 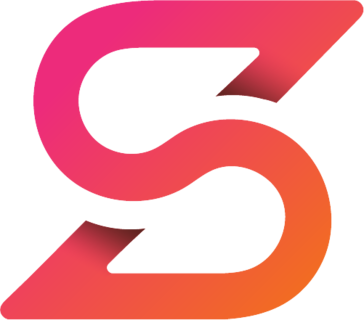 "ScribbleLive is a big help in covering high-interest sports events"
ScribbleLive is easy to use and provides live interaction on our website that our users would otherwise miss. The backend work is quick and intuitive, so setup is a breeze. ScribbleLive allows us to better utilize the work our reporters are already doing in the field. I can't think of any changes I would like to see made. It's easy to use, offers our users a useful experience, and even has nice analytic tracking. We use ScribbleLive to cover high school state basketball tournaments or key football games in our coverage area. It allows our reporters to cover the games as they normally would on Twitter while presenting that information to our users who might not have Twitter accounts. It gives live coverage of games where it otherwise wouldn't be available. The varied features offered by Scribble Live make it an incredible tool to use as a publisher. Particularly great are the ease at which one can submit social media posts and the ability to produce a live or manual scoreboard atop the live blog platform. I wish the tool used to create a template was both simpler and had more options. There should also never be a cap on accounts that can be created under a particular platform, as I can't imagine having signed-up users is that burdensome. Definitely ask to utilize a free trial period to make sure it is right for your company. ScirbbleLive allows us to keep our audience engaged during a live event as opposed to us only being able to reach out to them after the fact. "Have a hashtag? Track it." When an event was underway, we could track certain hashtags relating to the event to see the attendees experience/photos/comments from their perspective. When certain tweets struck a chord, we would post to Scribble Live and it would appear in an embedded section of the website as the event proceeded live. It wasn't used as much whenever the events were not in session. This is a great way to share what others are saying about your event. If they are using a specific hashtag you've created, share a photo, and tweet it, you can easily find it and share it on your embedded Scribble Live feed on your site. It's quite remarkable! We were bringing our audience's experience to the forefront on our website, and often would retweet and share what we found through Scribble Live. "Poor experience, would not recommend"
For the first year of the service they had some great staff that provided the attention and follow up we needed to make the software a success. Turnover at ScribbleLife and staff is gone, no support other than to "follow the steps outlined on our web site" Would not recommend the service. Failure. Lack of support and impersonal attitude. Platform seems dated and cumbersome. Look carefully at what this offers and how you will be supported. Ultimately, we gained no benefit from the platform. We were expecting the platform to serve our needs to share comments and social media from various sources. The formatting is poor and inflexible and, ultimately, the lack of service caused us to cancel. Great Social Media connectivity and a very sharp layout with adjustable Hubs for Social Media etc. Works fine on mobile devices aswell. Appearance on Page very slick, not too dominant. And the staff is always open for new ideas and personal modifications. Sometimes reaction time is a bit slow, refresh from time to time can avoid this problem. I would like the page to be even more modular, possibility to totalliy remove certain hubs (not just minimize). Live Sport Coverage. I like how easy scribble is to handle, even in stressy situations. Important actions are at a quick hand and the page is very organised. "ScribbleLive is a good tool for our newsrooom"
The instantaneous publishing to our live site is a great plus. We have actually switched to a ScribbleLive feed when our website CMS crashes. We can continue to push our breaking news to readers without a major disruption. The UX can be balky. We like to create live photo galleries, but the new UX makes that difficult. Give it a shot. We have had many successful uses of ScribbleLive. ScribbleLive gives us a solid, live-blogging tool that is not possible in our current CMS. We have been able to attract readers to breaking-news coverage and to events coverage. ScribbleLive is super easy to use - editors and writers can learn it very quickly and start publishing real-time content very quickly. It's flexible - it accommodates a range of media, including photos and curated social posts - and pretty customisable by means of CSS. Different user roles allow varying levels of access, from writers to publishers to admins. Utilities such as embeddable polling and pinboards are useful tools for other aspects of web publishing. The ScribbleLive team are excellent at onboarding clients and helping them get the most of the platform and its opportunities. There is little to dislike about the platform. Our main reason for not retaining it is the dominance of social platforms for real-time information - it felt like we replicating effort on our website live blog which was carried to a broader audience on Facebook. We used ScribbleLive to publish real-time narratives of sports events, creating a sense of live around broadcasts. I like the automated tweets that are fed straight to the blog, and its responsive embeds. The slideshow feature is also neat. I also like that we can embed any iframe into the blog. Slow new blog view. Haven't really fully adapted to it. Won't hurt if it works smoother than the old view. ScribbleLive is one of the most powerful live blogging tools out there. And we are happy with the experience. I just wish we can customize its look to make it look like it's a product that's well integrated into our brand. "Good, fast updates, minimal problems"
Using the app as a live blog on our website, it updated instantly and had few issues. We used it for almost a month straight. The viewership count on the blog often didn't add up to our own content view statistics and there could be a bit more clarification in that regard as to why there is a difference, i.e. what Scribble 'watchers' are defined as. At the time, we were struggling to have a fluent, interactive live blog which could incorporate video, tweets and GIFs. Scribble provided this in a smart box. "Innovative, but can have more depth"
"ScribbleLive is a dynamic liveblogging tool"
ScribbleLive allows maximum flexibility in liveblogs and live chats. You can easily feed Twitter users or hashtags into a liveblog or post entries directly into the blog (with the option to tweet) from the desktop or mobile apps. Lots of options, too, for comment moderation, syndication, pinning a live video feed to the top, etc. And the blog embeds easily in article templates on your site. It provides excellent metrics, too. I've heard complaints about price increases lately, but I'm not in a situation where I would be using it right now, so I don't know firsthand about the current pricing. Scribble provided deep engagement and value for my company. I don't know whether recent price increases have exceeded the value it provides, but my company was definitely pleased with our ScribbleLive experience. ScribbleLive provided a dynamic liveblogging tool for my company, giving us deep engagement on our news site on breaking news and live events. We're a daily newspaper which used the program to aggregate social media content during events. It was a pretty easy to learn program, and the automation feature made it easier to step away and not have to monitor the feed constantly. It's no fault of the program, but we're not sure Scribble is ultimately something valuable to our newspaper's readers. We aimed to bring together all the social media posts about a particular event (like opening day at the ski area or election night). The program worked for that, but we're unsure if it was very popular with out audience. "Good, reliable but a little confusing"
Everything is in one place and we can integrate with social media. The learning curve is too steep and the interface is not very intuitive. Take the required time to learn the interface as it will save frustrations and time later. Bringing chat with threaded discussions to live streams as well as social feeds. "Descent live reporting tool when tweaked"
It does the job when it comes to live reporting and is fairly easy to implement in an editorial organisation. The admin is not as snappy and up to date as it probably should be 2017. The live theme needs some love and attention to look good and empower engagement. We have been live reporting for many years with Cover It Live and since it became apparent that CIL's new owners, Scribble, would put their effort on their product we switched. And to be fair, we are happy live reporting with Scribble. "It has been a nice experience using Scribble Live"
"Easy to use, difficult to get buy in"
Once you learn how to use the platform it's fairly easy to use. The mobile app is less than desired. Also it's just difficult to get buy in from our company to actually use this tool to its full capacity. Do you really need a live blogging platform? Not sure if it's something that will be useful 5 years from now. Live blogging on site and commenting on video streams. I like the editing options in the streams as well as its reach to a wider community. I dislike the incomplete nature of the mobile App. It doesn't give font options, not easy to navigate and less interactive with social media tools. It avoids clutter as all updates can be contained in one stream rather than write several follow up articles especially during elections. It's easy to use and allows large groups of students to cover big events as a team. I like the layout and the ability to use multimedia. Sometimes students have a difficult time signing up. Really great tool for journalism educators. This allows me to have large groups of students cover a big event live. It also allows students to engage in multimedia reporting. "Easy to use to bring live events to the next level on digital"
Easy to use - for us and for the public! The ability to add moderators without creating an account would be nice! We use many "guest moderators" that require a bit of work to get in the system. "ScribbleLive very easy to use"
Scribble Live is very easy to use for live blogging and for grabbing posts from several social media platforms. Scribble Live menus could be easier to navigate. It's not always simple to find what I'm looking for. I moderate and create live blogs for local news. ScribbleLive is the perfect tool. It has allowed us to create a liveblog "like a pro"
* We monitor all ScribbleLive Engage reviews to prevent fraudulent reviews and keep review quality high. We do not post reviews by company employees or direct competitors. Validated reviews require the user to submit a screenshot of the product containing their user ID, in order to verify a user is an actual user of the product. Hi there! Are you looking to implement a solution like ScribbleLive Engage?